I went shopping last weekend and bought a few nice bits along with some beauty goodies so a post and review on this to come soon, I haven't really been at home much so far this week and not had chance to blog about my weekend yet!! In the interim here are some items that I am currently lusting after - so I might be going shopping again soon it seems!! I've wanted a leopard print faux fur coat for probably the last 13 years so when I saw this beauty on the ASOS site I knew it should be mine! Quirky and fun teamed with jeans, sneakers and a sweater, grungy when paired with leather look leggings and a slouchy tee and snuggly sophistication with a vintage vibe worn over an evening dress - it's a real multi-tasker! below and heeled ankle boots or Converse. Cute, warm and colourful headgear! What's not to love? perfect for summer festivals with skinny jeans, leggings or shorts. I've wanted an aviator jacket for ages so might take advantage of the January sales and finally get myself one - looks great teamed with jeans and a sweater or slung over a casual dress. Florals are a timeless classic for Spring/Summer but who says I can't start wearing them now?! I'd pair these with a neutral coloured sweater and smoking slippers whilst the weather is still chilly then switch to a brightly coloured slouchy tee or vest and embellished sandals for warmer climes. Since my old tan knee high boots finally bit the dust I am in the market for some new ones for trotting around town in, what I can't decide on is flats or heels?! I like both!! My mother used to dress me up like a miniature punk when I was at primary school, a tartan kilt and DM's were her sartorial weapon of choice on a girl who would've preferred Magic Steps shoes. 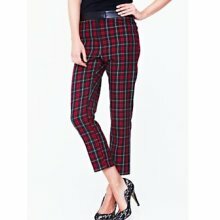 Looking back I'm grateful as I think it helped shape my identity from a young age, nowadays I love a bit of tartan and think these trousers would look awesome with the fox jumper and ballet flats or sneakers. 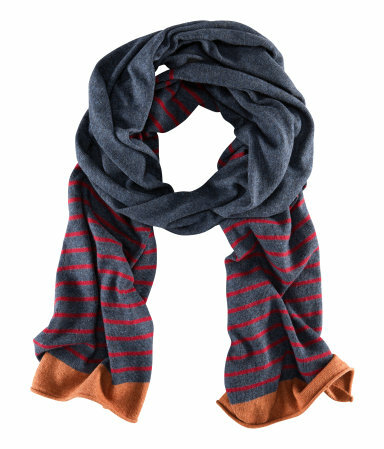 long, warm and super soft. 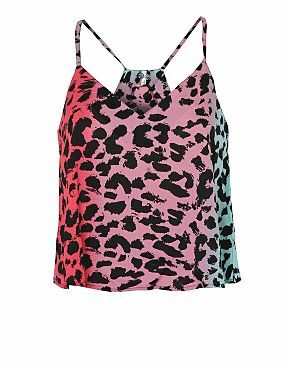 Plus it'll go with a lot of items in my wardrobe I already have, so it'd be silly not to buy it surely?! What do you all have your eye on at the moment in the shops? Are you stocking up for when Summer finally arrives or dressing for snow? If I buy any of the above I'll be sure to post it in here!! The coat is in my ASOS shopping basket as we speak!! I didn't feel cool at the time! I'm definitely buying the leopard coat. I know - I really love that jacket but £80 is a lot to spend!! I know, bit too much really for a jumper - I'll wait til it's in the sale! Fluffy leopard coats are awesome! 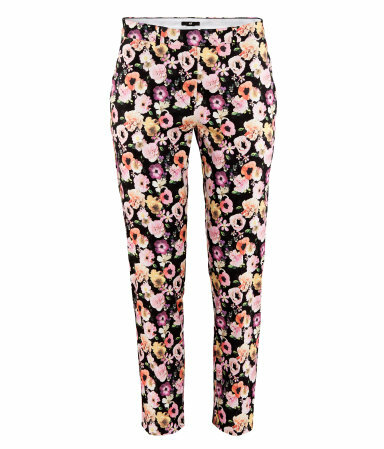 Really like the floral pants too. They are the best, I've wanted one for so long!! 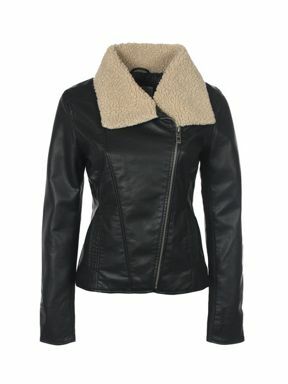 Ooh I love the fox jumper, the aviator jacket and the heeled brown boots from Moda in Pelle, you have lovely taste. beautiful little outfits youve got there! Thanks! I've just checked out your blog and love it already, HK was one of my favourite trips abroad and I LOVE a foodie blog so am now following you. Hopefully you'll follow me back. 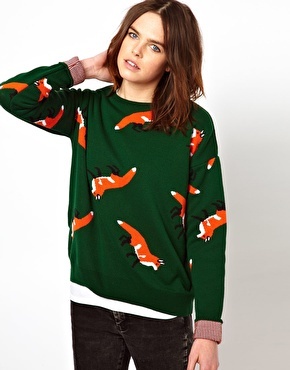 Oh that fox jumper is beautiful! I set a ridiculously ambitious new years resolution of not buying any new clothes at all in 2013, but these January sales are making it so hard already and it's only the 3rd week of the year! It is a lovely jumper but too expensive at the moment, waiting for it to go into the sale! It's so hard not to buy clothes in the January sales!! Well clearly I am inspired by foxes ;) Oh wonderful, I'm sure we'd have been friends as children then!! Yes, those trousers can easily be dressed up or down and worn for much of the year I think.